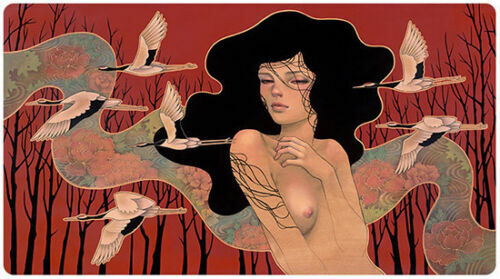 Audrey Kawasaki SOLD OUT 2012 Print SHADOWS - Limited Edition ONLY 100! Audrey Kawasaki She Who Dares unframed Zine Page 8x10 Frame it anyway you want! 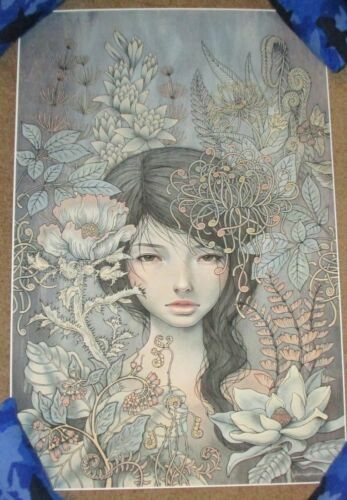 Audrey Kawasaki Hyakki Yakou Framed Signed Numbered Giclee Print! Audrey Kawasaki I'l Stay Here unframed book page Frame it any way you want! 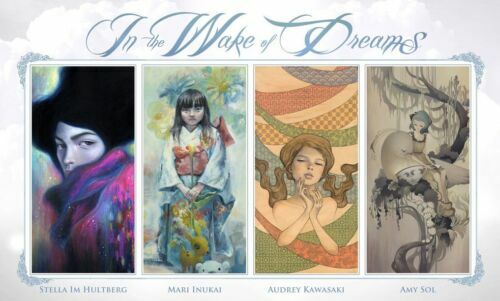 When it Begins Giclee Art Print by Audrey Kawasaki Signed & Numbered 30" x 16.5"
Audrey Kawasaki Make Believe unframed Zine page: Frame it any way you want! Audrey Kawasaki "SHE WILL" (2018). Signed, Numbered, Matted, Framed. Audrey Kawasaki My Dishonest Heart book page Frame it any way you want! Audrey Kawasaki Memai unframed Zine Page 8x10 Frame it anyway you want! 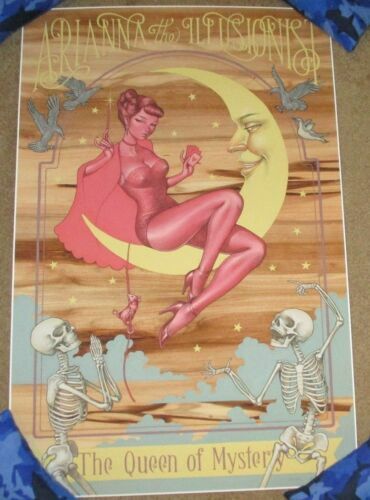 Audrey Kawasaki Deep Waters unframed Zine page = Frame it any way you want! Audrey Kawasaki Wandering Star unframed Zine page: Frame it any way you want! 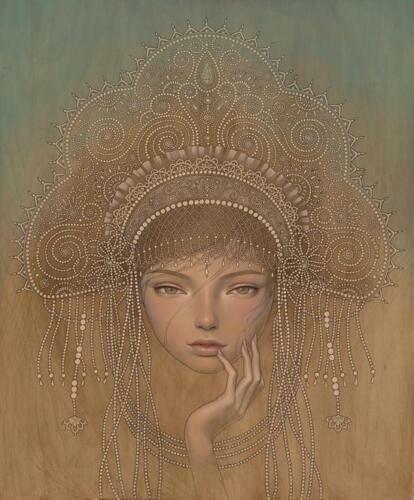 Audrey Kawasaki You Come First unframed Zine page: Frame it any way you want! Audrey Kawasaki She Who Dares unframed zine page = Frame it any way you want! 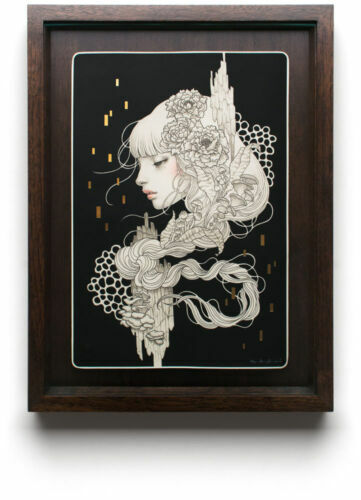 Audrey Kawasaki "Offering" unframed zine page = Frame it any way you want! 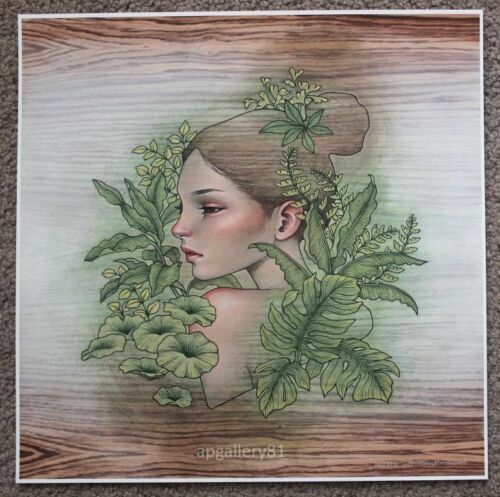 Audrey Kawasaki Enrapture unframed Magazine Page 7x7 Frame it anyway you want! 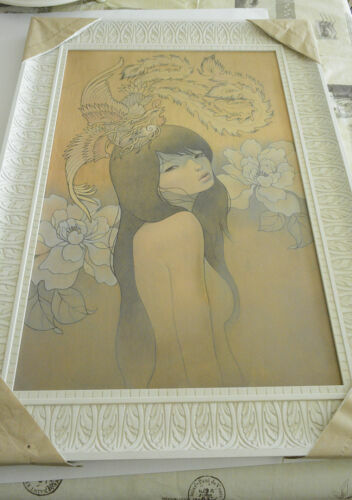 Audrey Kawasaki Posessed unframed magazine page = Frame it any way you want!